If your situation matches any of these descriptions, it is in your best interest to consider bankruptcy. If you can no longer keep up with the payments on your credit cards, it may be the time to consider filing bankruptcy. If your wages are garnished after a judgment, it may be time to consider a bankruptcy. If you are in foreclosure and behind on your mortgage payments, it may be time to consider filing bankruptcy. If you have overwhelming debt of any kind and it just does not look like there is any way to pay, it may be time to consider bankruptcy. If any of these describe your current situation, it would be helpful to contact us and let us help you assess if filing bankruptcy is the best answer for you. Life is full of surprises and curve balls and nobody has “filing bankruptcy” on their bucket list, but our attorneys are here to help you understand your options and navigate the journey of bankruptcy if it’s right for you. Now, there are a few routes you can choose to travel on. The first option is Chapter 7, usually filed individually and when a person cannot repay their debt over a period of time. This opportunity will allow you to commence a fresh financial start in exchange for a handful of your personal assets. However, if you are repaying your debt but require a little more time, your best option would be to file Chapter 13 bankruptcy. From there, our attorneys can help negotiate a payment plan and settle your debt with creditors. For businesses who are struggling to pay off your debt, you may want to consider filing Chapter 11, where our lawyers can help restructure your debts and reorganize your company. Nonetheless, if you are planning to close operations in the future, Chapter 7 may be your best option, where our lawyers will essentially hand over your business to creditors in exchange for a clean financial slate. What Should I Expect from Filing? Your debt will either be dramatically lowered, erased, or reorganized in an amount you will be able to pay off when you’re able to. Each outcome is dependent on the form of bankruptcy you file. Since creditors are willing to receive a lower amount than originally discussed than none at all, they will discount the amount you originally owed them. If you decide to file commercial bankruptcy, you may lose your business. Likewise, if you file consumer bankruptcy, you may lose some of your assets. Our bankruptcy attorneys are best suited to thoroughly evaluate and assess your specific situation to recommend the form of bankruptcy you should file, as well as lending a hand throughout the process. The first step in a bankruptcy should be to set up a meeting with a qualified bankruptcy attorney in the state in which you live. You should provide to your attorney a listing of all of your assets and liabilities. In other words, you should tell the attorney everything you own and everything you owe. The attorney should ask for a list of documents related to your financial condition. For example, your last two years tax returns; 6 months worth of paystubs or evidence of income from whatever source; an appraisal or valuation on any property or real estate that you own; list of the name and address with approximate amount owed to any creditors; statements from bank accounts, stock accounts or other investment accounts; statements on 401K, pension or retirement plans; spouse's paystubs or evidence of income; life insurance statements; and mortgage payment statements or car payment statements. These are a general listing of items that should be provided, but everyone's situation varies so more information may be needed depending on the individual situation. Upon meeting with you and obtaining all of this information related to your finances, the attorney prepares a bankruptcy petition. Depending on your situation, the petition may be a Chapter 7, Chapter 12, Chapter 13, or Chapter 11 bankruptcy petition. The steps discussed here are the general steps in a Chapter 7 bankruptcy. The petition is the document that presents the current snapshot of your financial condition with a listing of your assets, liabilities and current income and disposable income or budget situation. The filing of a bankruptcy petition is now done electronically. The bankruptcy court has mandatory electronic filing so for regular practicing bankruptcy attorneys and law firms, they have to file the petition through the computer electronically. The petition is put into a PDF formatted document and filed on line through PACER. PACER stands for Public Access to Court Electronic Records. After the filing of the bankruptcy petition, a document from the court is sent out which is called "Notice of Commencement of Case. " This notice is sent out to all creditors to whom you owe money. All of these creditors are stopped by the automatic stay from suing or pursuing the debtor in any way. The form contains the case number and the date, time and place for the 341a meeting of creditors. This 341a meeting is the initial hearing in the bankruptcy case where the debtor and the attorney go and meet with the court appointed trustee to review the petition and take testimony as to the accuracy of the petition and other financial issues related to the debtor's financial affairs. Any creditors of the individual in the bankruptcy have the right to appear and question the debtor. After this 341a meeting, creditors or the trustee have 60 days within which to file a complaint objecting to the discharge of the debtor. Stated otherwise, creditors or the trustee could object to the bankruptcy filing for certain reasons. If no one does object within these 60 days, the debtor would receive a discharge. The discharge is the final order entered by the court that wipes out the outstanding debt of the individual filing the bankruptcy. These are some general steps involved in a Chapter 7 bankruptcy. If other legal issues or problems that arise the process of the case could go forward in a much different way. There are also additional and more complicated steps in Chapter 11, Chapter 13 and Chapter 12 Bankruptcies. Click the link for more information on other types of bankruptcy: Differences Between Chapter 7, 11, & 13 Bankruptcy. The place to start when you are considering filing for bankruptcy is to find yourself the best New Jersey Bankruptcy Lawyer you can. Here at Scura, Wigfield, Heyer, Stevens & Cammarota, LLP we understand that life is unpredictable. We understand that things don’t always go as planned and financial obligations can grow out of control. We recognize that filing for bankruptcy probably wasn’t in your plans when you started out, but you are here and now you need help. The representation you choose to help you navigate this difficult decision can make all the difference in the world as to how things turn out. We are committed to helping you solve today’s challenges in a way that best sets you and your family up for the future. We want you to understand that while filing for bankruptcy may be the best way for you to move forward, knowing how to file bankruptcy and which type of bankruptcy is best for you is critical. Your New Jersey Bankruptcy Lawyer should be able to educate you on all the options, listen to you carefully so he or she understands your situation, and then be committed to ensuring that you know what is happening every step of the way. It is our goal at Scura, Wigfield, Heyer, Stevens & Cammarota, LLP to make sure that when you leave our offices you feel better than you did when you walked in. We know that filing for bankruptcy is disruptive and difficult, and we want to get you back on the path to financial peace as quickly as possible. For any business or individual, the crucial decision to file for bankruptcy isn’t one to be taken lightly. Filing bankruptcy is an important step, and one you should make while receiving expert counsel with those who clearly understand the opportunities and options that await you. 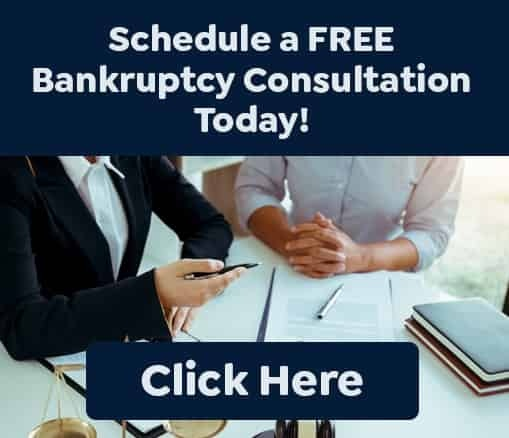 As New Jersey bankruptcy attorneys, we have a clear comprehension of the types of hardships and struggles that would cause you to consider filing bankruptcy as well as a acute compassion for those challenges. We invite you to contact us at 973-870-0434 or schedule a FREE initial consultation today and let us help you take a step towards finding debt relief and the peace of mind you need.